In previous articles we’ve described some of the common complaints against TOGAF. 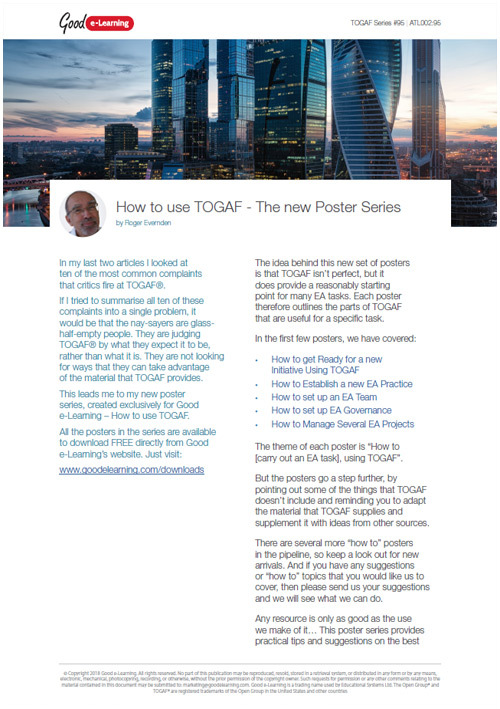 Our new poster series is designed to help you overcome some of the limitations in the TOGAF documentation. Each poster covers a specific task that you might face, and explains how to use TOGAF in that context. This article explains more and gives an introduction to this new series of posters.